Yahoo today updated its Yahoo Mail app for iOS with a slew of non-email features. You can download the new version now directly from Apple’s App Store. The new Yahoo Mail app not only shows your Yahoo Mail inbox when you fire it up, but also a new panel with icons for Mail, News, and Today at the bottom of the screen. Nothing has changed in the first tab. The second tab has a “personalized, visually rich news stream” that shows everything from “celebrity gossip to the latest political news.” The third tab meanwhile offers a snapshot of “the information you care about most every day and search,” including local weather, a news digest (one apparently wasn’t enough), as well as the latest stock quotes and sports scores. We rely on our mobile devices for many things throughout the day — to check email, search, read news, catch up on sports, follow stocks, look up the forecast, and watch videos among others. Today we’re introducing a new Yahoo Mail app for iPhone and iPod touch so all the information that’s most important to you is right at your fingertips. We’ve designed it with a focus on simplicity: it’s the familiar Yahoo Mail experience, plus one-tap access to personalized, real-time information. Feature updates for iPhone iOS7+. Your Yahoo Mail app is now enhanced with news, search, and snapshots of the weather, sports scores, stocks, and News Digest. Access the info you need, all in one app. The new features, which seem like a very basic version of what Google Now and Bing offer, appear to be limited to just the US. 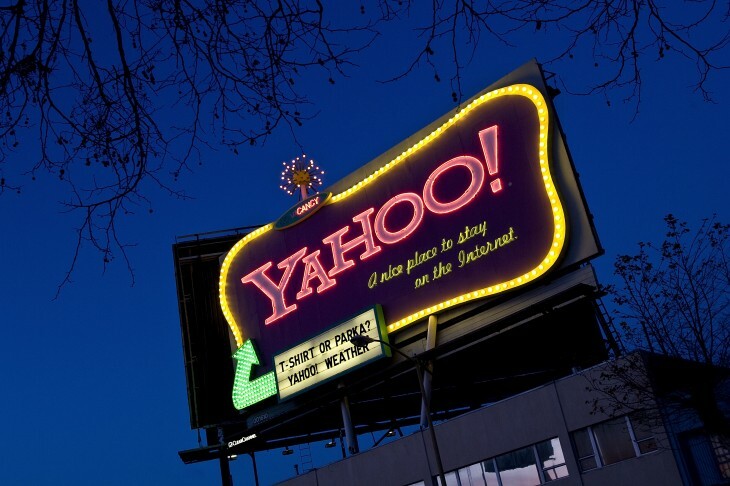 It’s as if Yahoo has run out of ideas for email and decided its American userbase for Yahoo Mail is worth experimenting on, rather than logically starting with Yahoo Search.